The Microsoft Windows Start Menu is the primary location in Windows to locate your installed programs and find any files or folders. By default, the Start Menu is accessed by clicking the Start button, located in the bottom left-hand corner of the Windows Desktop screen. What is accessible in the Start Menu? Below is an overview of the Windows Start Menu found in Microsoft Windows XP and Windows 7. If you have Windows 10 Skip down to the Windows 10 Start Menu section. The left pane shows recently-run programs or any pinned program shortcuts. In the above example, there is one pinned program separated by a line and then the recently ran programs. At the bottom of the left pane is the "All Programs" option, which displays all programs that have been installed on the computer. Directly below the All Programs option is the "Search" bar. This useful feature allows you to type in the name of the program or file you're looking for and have the results displayed above. The right pane shows each of the more commonly accessed sections of the computer, such as your Computer, Control Panel, Documents, Music, and Pictures. Tip: You can find the version of Windows on your computer if you right-click on Computer and select Properties. In the System window you can view basic system properties, including the Windows version and access the Device Manager. At the bottom of the right pane is the Shut down button, which allows you to turn the computer off. You can also click the arrow next to the Shut down button to switch user, Log off, Restart, Sleep, or Hibernate the computer. 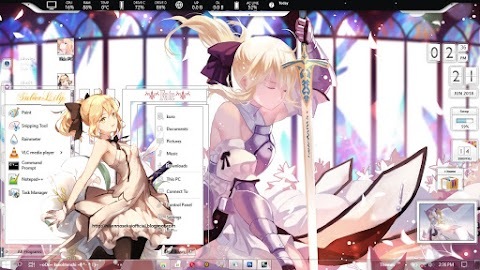 The picture to the right is an example of how the Windows 7 Start Menu may appear. The Windows 10 Start Menu made some drastic changes to the Start Menu available in previous versions of Windows as is immediately apparent in the picture below. 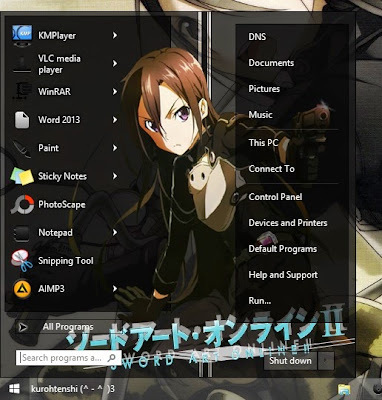 One of the most noticeable changes is the integration of tiles (from the Windows 8 start screen) into the Start Menu. From this Start Menu, you can access all your programs through the "All apps" option and in the left pane. But in windows 8 and 8.1 this Windows start menu goes missing. The Start Menu has been replaced by the Start Screen. 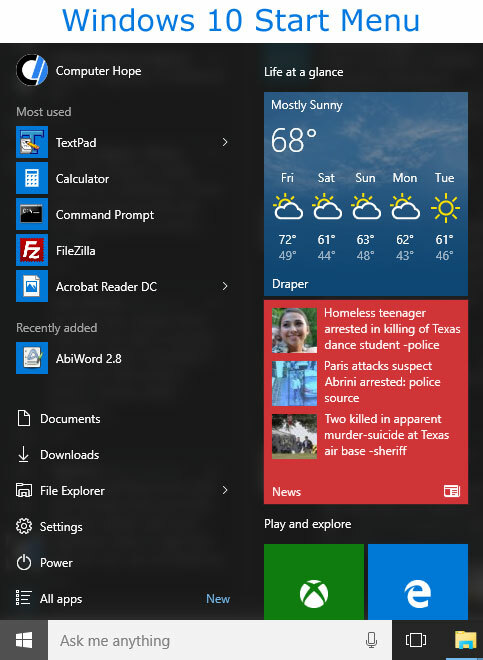 The Start Menu returned in Windows 10 and is discussed later on this page. If you guys have Windows 8 or 8.1 system installed on your computer, dont worry there's away to get the Start Menu back. 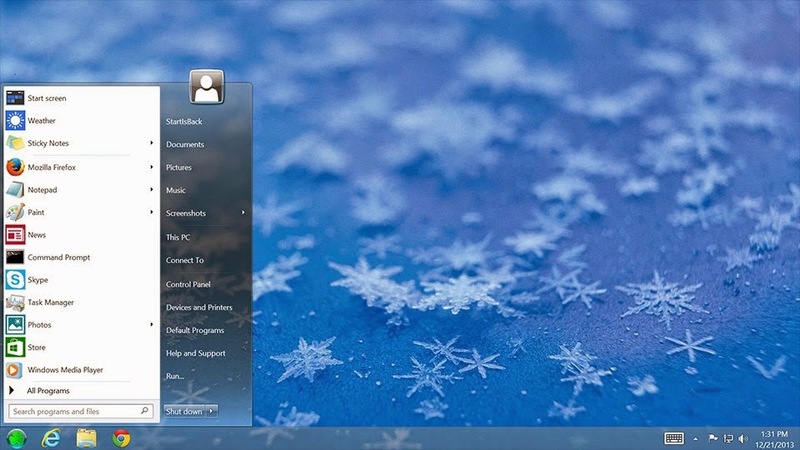 The missing Windows 8 start menu can be back again with installing an software called StartIsBack. StartIsBack fully integrates with Windows 8 and provides original Windows 7 start menu experience, enhanced with many new features as well. Supports all Windows languages. 4. Right Click on the Start Menu, then click Apperance, find the start menu that you want.